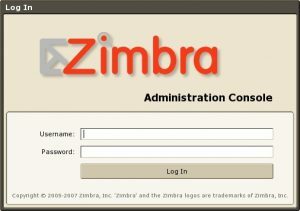 I just spent a whole lot of useless time trying to figure out why I no longer had the “view mail” button in the Zimbra Admin Console. There are a tonne of posts about delegated admin access through grants. Certainly perhaps that’s the answer for some or most people. I however couldn’t figure it out. We’re on Zimbra 7.2 and this doesn’t seem to be affecting our Zimbra 8.6 deployment. Both of these deployments have two mailbox servers and a handful of specialized virtual machines running the MTAs and proxies. My problem turned out to be that depending on which mailbox server you connect to for the Zimbra Admin Console determined whether or not I had the view mail button at all. Specifically if I logged in to mailbox01, the mailbox server I’m on, I will get view mail whereas if I logged in to mailbox02 I’m not given the view mail option. This only occurred because my Omnibox suddenly started preferring mailbox02’s Zimbra Admin Console over mailbox01’s.